Is Magnum PI new tonight on CBS? Within this article, we’re going to talk about this subject — but also a lot of other exciting stuff when it comes to the show! 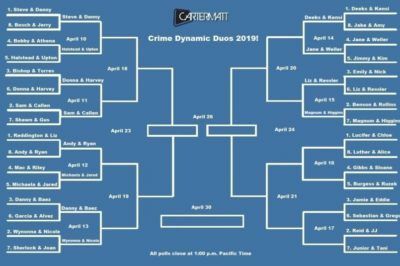 In today’s Crime Dynamic Duos showdown, Benson & Rollins of Law & Order: SVU are facing off against Magnum & Higgins from Magnum PI. Tonight, the Magnum PI season finale brought you a story that was largely about betrayal and how to handle it. Following tonight’s finale, do you want to get some early news about a possible Magnum PI season 2 premiere date? Magnum PI episode 20 (finale) video: Can Magnum trust Hannah? Next week on CBS, the big moment is officially going to arrive — Magnum PI episode 20. It’s the final episode of the season … and also a dangerous one. Magnum PI episode 19 review: Did Magnum, Higgins make it to shore? Tonight on Magnum PI episode 19, we saw Thomas Magnum put just about all of that Navy SEAL training to the test. Magnum PI episode 20 (finale) spoilers: Hannah returns; who’s in danger? Next week, Magnum PI episode 20 — otherwise known as the final episode for the season — is set to arrive on CBS. After a short hiatus, Magnum PI episode 19 is coming to CBS on Monday — and the crisis is going to be OBVIOUS.